Many often wonder what it is like for the soul just prior to incarnating into a physical vessel as well as what it’s like for a soul during the departure of the physical body. So we will share with you our perspective in hopes of offering you more clarity. When a soul has made the decision to re-enter your physical world it must make a few decisions first. 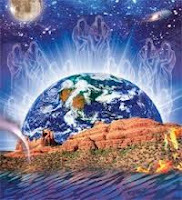 Please know that there is no time in the higher realms and therefore we cannot tell you the amount of time it takes before a soul is ready to once again reincarnate into another life after their physical death. It is different for every soul. Now with that being said, the soul must make a few decisions before it can once again incarnate into another physical body. These decisions include what region they would like to be born into, who they would like their parents to be and what lessons or themes they would like to further explore. 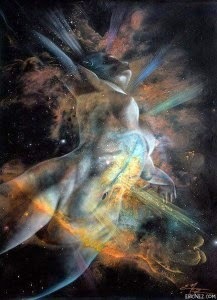 We will tell you that birth is far more traumatic than death, and the reason for this is because you are once again crystalizing your consciousness into physical form, you are coming from the higher realms in which you are well aware of your divinity and inter-connectedness into a state of forgetfulness so that you can explore duality from this unique perspective. It often takes souls several years before they choose to fully ground into their physical bodies upon birth. This is why very few of you have any memories of being in the womb, being born, or even any experiences before the age of 2 or 3. You begin to have conscious memories when you are fully grounded in your body, which usually occurs anywhere between ages 2-5 depending on the souls preference. It is not to say that the soul isn’t present as this is not accurate. Rather, we would say the soul is simply choosing to view the experiences from a “birds eye view” as you say in your vernacular. This is also why some of you remember events from your childhood from outside of your body, with the perspective of hovering above the scene rather than being submerged in it. There is a medical condition that affects many infants that is known as “colic.” Your medical field is not entirely sure what causes this condition in some baby’s and not in others. This condition is known to cause constant crying, discomfort and fussiness for extended periods of time within the first few months of life. Your medical field is under the impression that it is due to the digestive system being under developed in some way and therefore causes discomfort in the child. We will tell you that though digestive issues are just one of the symptoms that cause the discomfort in the infant, others are muscle cramps, headaches, and vertigo. The reason for this is simply that some souls have a more difficult time acclimating to the physical realm than others; as we will tell you it requires a large step down in vibration in order to crystalize into a physical form from the high frequencies of the non-physical realms. 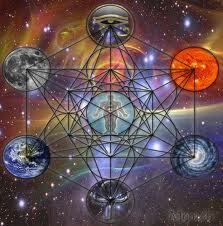 There is sacred geometry throughout your entire universe; your universe in particular is based upon the circle. This is why your planets are circular, your planets circle around your star, your galaxies are circular, and so too is your life cycle. There are many similarities between a young infant and a very old body. The body has come full circle if you will. The body once again requires quite a bit of sleep, you find that walking is once again difficult, your strength weakens over time, and you require assistance that you did not require as a healthy young adult. Many of you are familiar with the disease known as “Alzheimer’s.” It is a condition in which the mind looses its ability to retain short term memories. However, those affected with this condition are still able to recall events from decades prior. The reason is very similar to why you don’t remember your first few years of life. The soul begins to detach from the physical realm, it in a sense chooses to hover and view the body’s experiences from a “birds eye view” once again. However, the mind has no problem recalling events from years prior when the soul was fully grounded in the body. Certainly this is not the case with all souls, some of you will choose to remain fully engaged and remain grounded in your body until the very moment you choose to leave your body. It is a preference of the soul, just as each soul is free to choose how soon it would like to ground into the body as an infant. You will find that if there is a traumatic event, it instantly pulls the soul into the body and grounds the soul, and the person will be able to recall this particular moment. Those of you that had a traumatic experience at a very young age will likely remember it even if you cannot remember much else from that time period. The reason being is that the soul is fully grounded and engaged. We will tell you that [in] the days leading up to the body’s last breathe, the soul almost always chooses to detach from the body. We would say that this state is very similar to your sleep state, in that the consciousness is not submerged in the physical body but rather remembers that it is in fact inter-dimensional. The body is still able to preform the subconscious tasks of pumping blood through your veins, breathing oxygen into your lungs and many of the other necessary functions required for life. However, the soul begins to long for the peace and stillness found within the higher realms. You are once again reunited with loved ones and legions of Angels await you who gladly greet you and welcome you once again back into the higher realms.